Should the St. Louis Blues Consider Trading Colton Parayko? Should the Blues Trade Colton Parayko? 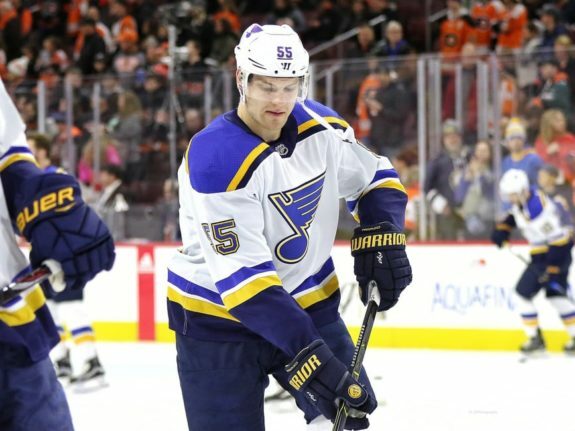 The St. Louis Blues have had a very busy offseason so far, and with the signing of Joel Edmundson late last month, it would seem that their business was all but done. And yet, the Blues remain consistently in the rumor mill on account of one player: defenseman Colton Parayko. While nothing is certain and the Blues certainly do not have to trade Parayko, there is too much smoke to ignore the story altogether. Let’s take a look at whether the Blues should consider trading their young defensive star. Any time a name circles the rumor mill, it’s important to consider why. In Parayko’s case, the reasons are ample. First, there is the quality of his play. At just 25, Parayko has established himself as one of the more promising young defensemen in the game. In his first season, Parayko scored nine goals and added 24 assists. The team maintained a majority of the possession when he was on the ice, with a Corsi-For percentage of almost 55%. Parayko finished eighth in voting for the Calder Trophy for his rookie performance. He posted 30-plus points in each of the next two seasons, and continued to play a steady defensive game. Additionally, Parayko has raised his profile with an impressively powerful slap shot. Teams around the league looking for help on defense could not do much better than Parayko. Contenders looking for help on a budget will find Parayko particularly appealing, as he signed a five-year contract with an average annual value of $5.5-million last offseason. Therefore it makes sense that teams like the Toronto Maple Leafs have been consistently linked to the Blues and Parayko. Why Might the Blues Trade Parayko? With so many points in Parayko’s favor, it raises the question: why would the Blues even consider such a deal? The critical point to remember is that they do not have to make any move. However, there are some reasons why this might be the right moment to strike. First, while defense is always rather scarce in the NHL, it has been particularly hard to find this summer. Potentially impactful defensive free agents like Mike Green and John Carlson opted to sign contracts to stay with their own team. 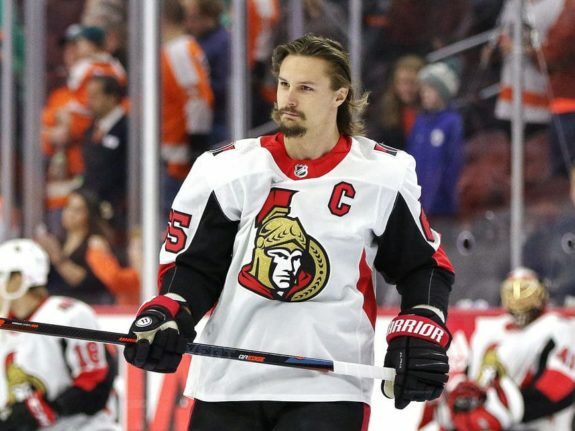 Meanwhile, the Erik Karlsson saga continues to drag on in Ottawa, meaning one of two scenarios will play out: either he will remain in Ottawa, making good defensive options even more scarce, or he will be traded, making the teams that lose out on the sweepstakes even more desperate to find blue line relief. In either case, Parayko’s stock could increase to a price the Blues would have to consider. St. Louis already has their cornerstone right-handed defenseman in captain Alex Pietrangelo. To relegate a defender of Parayko’s caliber to the second pairing is a luxury, but it is precisely the sort of luxury that the Blues could potentially use in a trade. Kevin Shattenkirk met the same fate in St. Louis – he was rumored for several seasons to be a trade piece before ultimately being dealt at the trade deadline in his final year for a rather underwhelming return. Considering the potentially massive return that was rumored to be available had Shattenkirk been on a longer term, the Blues may consider this as a lesson when approaching a potential Parayko deal. What Would Make the Blues Say Yes? 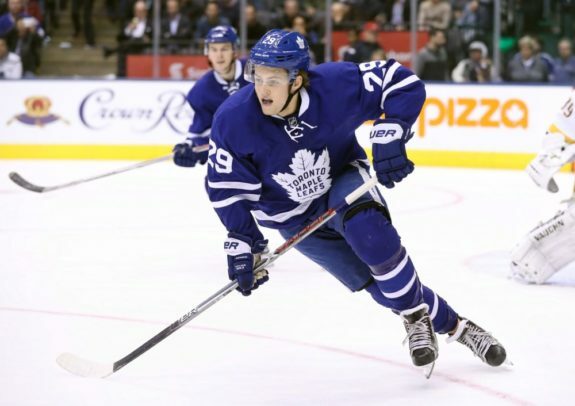 While we can only speculate what might tempt Blues’ general manager Doug Armstrong to move on from their young defenseman, the rumor speculating that the Maple Leafs may be dangling young RFA forward William Nylander is certainly an intriguing one. The Blues have overhauled their forward core this summer, but their group still doesn’t quite measure up to the top groups in the league (such as the Jets, the Lightning, and, yes, the Leafs.) Adding a young, potentially elite forward like Nylander would take St. Louis’ forward group from good to great. Maple Leafs fans would likely balk at the price of Nylander for Parayko, but that is actually important for the Blues. Any price the Blues should accept for Parayko ought to sting for both teams. The Blues, in trading Parayko, would be sacrificing an incredibly valuable defender, and opening a hole on their second pairing. To make that sacrifice, they would have to get an equally painful return from another team. Trades like the one linked above, where the Leafs would surrender Jake Gardiner, a defenseman who is currently under fire for his playoff performance and on the final year of his contract, and Andreas Johnsson, who could be a good scorer but has yet to prove it above the AHL level, should not entice the Blues to give up Parayko. They should demand top dollar for a player of his caliber on his contract, and if they aren’t offered it, they should be more than happy to enter the 2018-19 season with Parayko on their roster. Colton Parayko is very valuable to the Blues, given his team-friendly contract and the quality of his play. But he is something of a luxury, as he is blocked from first line minutes by team captain Alex Pietrangelo. If the Blues were to consider moving him, they should only be enticed by a truly elite, young forward, or potentially a long-term solution in net. The Blues in no way need to trade Parayko, but if a desperate team is willing to overpay, he is an asset they can use. As it stands, we should expect to see him in a Blues’ sweater next season, but if that changes, it will be one of the more shocking and interesting trades of the offseason.